Hundreds of thousands of wagons were built with push rod brakes either in an Independent/either side arrangement of linked by a cross shaft with either Morton cams or lifting links with the brake levers. This was the standard British wagon brakegear system from the grouping/BR steam era. For 12T vans, shocvans, palvans, conflats, lowfits, opens, shockopens, etc. Whilst primarily intended for vacuum braked wagons these can easily be built in their unfitted form. Note that GWR ratchet type brake lever guards are included with both B.11 and B.12. For 16T welded 1/108 type minerals. These can be used with B.13 to build a mid-sixties 4 shoe vacuum braked conversion 1/108 chassis. Includes sufficient parts for two chassis. For 16T riveted 1/109 minerals. For early 16T welded minerals built with independent brakes. Diagrams 1/102 (with BR Axleguards), 1/104, 1/106, etc. For early 16T riveted minerals built with independent brakes. Diagrams 1/103 and 1/105. For use with either B.16 or B.17. 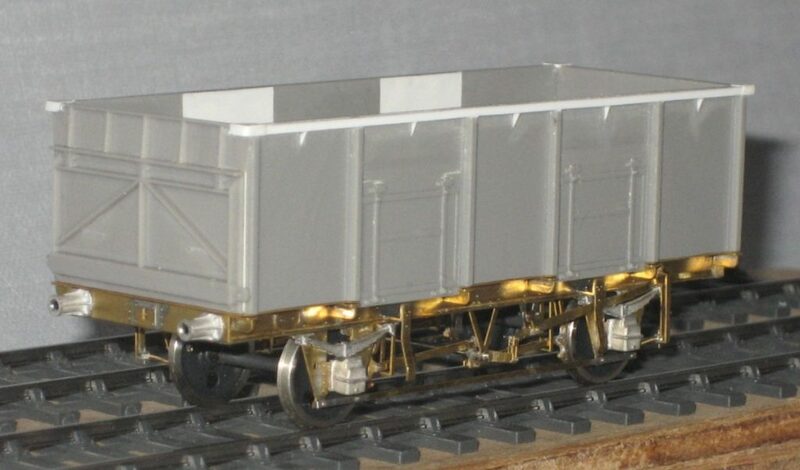 Provides RCH type W-Irons and appropriate solebar detailing to allow the early LMS and LNER minerals to be built using modified Parkside bodies. Includes sufficient parts for 1 wagon. 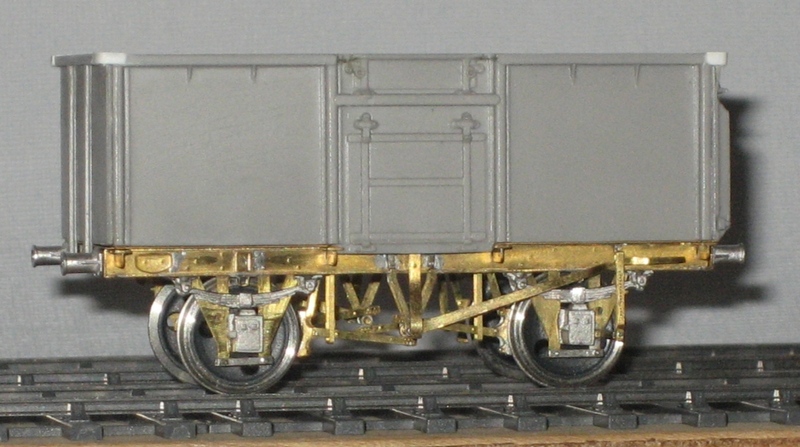 The 16T mineral wagon chassis are intended for use with either the Parkside welded or riveted body depending on type. I had intended to use the Cambrian kits as a basis for earlier no top door types but the bodies for both are all over the place. I decided that modifing the Parkside bodies would provide a better result and makes life a whole lot easier when it comes to the chassis. Further information on bodies for the 16T mineral chassis kits can be found in the instructions which are available to download via the instructions and downloads page. I have also uploaded a mineral wagon fleet survey giving rudimentary information on the types and numbers of steel mineral wagons built. The fleet may have been more varied than you think. This can also be found on the instructions and downloads page. Covers diagram 1/115 and 1/118 24.5T mineral wagons as well as the 1/107 21T welded minerals which can be constructed by modifying the Parkside 24 1/2T body. Covers diagram 1/110 21T riveted minerals. The BR 21T and 24 1/2T 12′ wheelbase mineral wagon chassis are designed for use with the appropriate Parkside body. 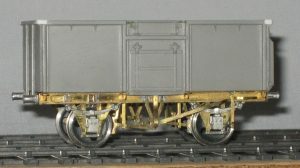 The RCH 20/21T mineral chassis is designed around the Parkside LNER 21T loco coal and the Dapol GWR N32 Felix Pole bodies. There are other bodies out there but I haven’t investigated these. For diagram 1/184 iron ore tipplers. For diagram 1/181, 1/182 and 1/183 iron ore tipplers. For diagram 1/071 and 1/072 sand tipplers. Covers both fitted and unfitted variants. The iron ore tipper chassis are intended for the Parkside body. The Parkside body is the shorter type and so is not suitable for the 1/181 or 1/182 tipplers. An alternative route to a body will need to be found for these. The sand tippler chassis is intended for the Red Panda body. For LMS, LNER and BR unfitted Plate wagons. Note that the kit contains both RCH and BR type axleguards. Suitable for use with the Parkside body and is included in the relevant full Plate wagon kits C.21C and C.22. For BR diagram 1/146 coal hoppers. Includes parts to model both the unfitted and vacuum braked versions. Designed for use with the Parkside welded 21T hopper body. For private owner 21T coal hoppers. Can be used with Parkside riveted 21T hopper body and also Dave Bradwell’s 21T NCB hopper body. For diagram 1/051 china clay opens. Covers both fitted and unfitted variants. Desigend for the Ratio kit but can be used with the Bachmann model. For grouping era vans, conflats, opens, etc. Caters for both vacuum braked and unfitted versions. Also includes GWR ratchet type brake lever guards. Intended for use with the Parkside body. Includes the disticntive baskets for storing the removable ends, bodyside door springs and corner steps. Intended for use with either of the Chivers Tunny bodies. Includes parts to enable either a GWR or SR Tunny to be built.